Today was Mother’s day. The other day I came home from Costco with 10lbs of ribs. I handed them to my wife and told her “I’d thought you would like these better than roses”. She laughed and cradled them for a bit in her arms like they were a box of long stems. 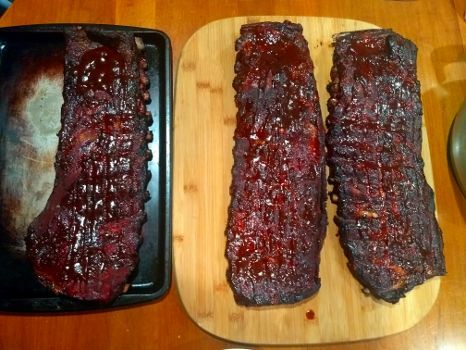 I started prepping the ribs at 9am and smoked them low and slow all day. Finally, around 5pm we sat down to dinner.